of a Shy Young Girl to a Dynamic Police Officer. By Charu Sinha (IPS), UNMIK CIVPOL, Pristina, Kosovo. When I was a child, I loved the story of Dhruva and like him, I wanted to sit in the lap of God. I always thought if I pray to Rama, Krishna, Shivji, or Vishnu, the other Gods would get angry. So I was always confused whom to pray to. I wanted a God I could see in front of me, talk to, confide in and laugh with, who would love me unconditionally however I was, and one who would be my best friend and guide. I wanted my own personal God. The idea of a God somewhere up there in the sky, beyond my reach, was not what I could relate to. As a child I had a disturbed childhood and never knew how it was to be carefree. I was very shy, sensitive, and had the right values but was quiet, scared of everybody and everything and always felt unloved. I wanted to be loved unconditionally and be absolutely independent - emotionally, mentally and financially. I thought when I find my God, I won't need anyone in this world and no one could hurt me. It was the heartfelt desire of a sensitive child who was badly hurt by the insensitivity and constant comparisons by the people around. In 1989, my father's German friend Frank introduced me to "The Autobiography of a Yogi" and my spiritual quest began. I had never doubted the existence of God, but I wanted to feel and experience it and find my personal God. My yearning increased. We would visit Shirdi every year. I had some amount of faith in Shirdi Baba but, since I could not see Him or talk to Him, I still wanted something more. In August 1989, Papa took the whole family to Puttaparthi. Something in that trip had affected me. On returning home I found myself turning to Baba whenever I would pray in the Pooja room. In the meantime, all the people I had faith in, started letting me down. I could not understand why I was suddenly without a friend in the world, for no fault of mine. I was plunged into the nadir of despair, hopelessness and diffidence. I did not know whom to turn to. In those young and foolish days, I wanted a soulmate, as I thought that that would be the solution to all my problems and my insecurities, little realizing that my quest would bring me unbearable pain. Baba made me experience and realise that He was the only soulmate I ought to look for, trust and have faith in. Betrayed trust, humiliation, broken friendships and relationships, left me badly mauled, with a mutilated heart and soul, absolutely alone, with no emotional support, and no job to sustain myself ? I was heading nowhere, had no one to turn to and there seemed to be no way out. I cried for help from the depths of my being. I did not want to live anymore. Only God could have saved me - and He did. In January 1996 when I went to Puttaparthi, I had a number of dreams and was selected for the Indian Police Service the same year. I realized that it was He who got me selected. He had told me in a dream that He was selecting me to protect something. As usual I did not understand what the dream was all about. That was the turning point in my life as I turned to Him completely. Had it not been for Him, I could never have done my National Police Academy training. It was He who made me do the rock climbing, push ups, sit ups, rope climbing, back roll, front roll, cross country running, drill, marching, swimming, horse riding - every step of the way, in spite of severe breathing problems, fractures and bruises. In December 1997 after 8 years He gave me padnamaskar and took away all the pain. He also taught me that forgiveness was important and I am not my past. I learnt to put my past behind me and understand the role of different people at different stages in my life for my learning and progress, however hard the lessons were. Then came the field training ? the initial shock of policing ? I saw for the first time the different social values of different people and sections of society. The deceit, lies, crimes, insensitivity, and different interpretations of truth as per convenience. I saw what motivated people to commit crimes, where the subtle line of distinction between right and wrong, good and bad was so thin that people justified every act they committed, on various grounds, morality being brushed aside completely. I was also exposed to various methods of policing and control, and I learnt to differentiate between what was right for me and what clearly wasn't, what I should or should not do and at the same time while doing my duty, how not to judge other people and the situations they are in and how to be tough with criminals (a complete turnover from the soft me). I had to evolve my style of functioning ? mature, strict, sensitive yet tough ? for the people and my own subordinates. I survived a grueling and exacting first 3 years in my job thanks to Him. Slowly but surely He helped me gain command over my work and people. Though several times I thought I was a complete misfit, now I know I was destined only for this. I could never have been anything but a police officer. Then came my experiences in policing. Once when I was posted in an extremist affected area, the extremists were out on a rampage, blasting and destroying property, and everyone was tense. As Addl. SP Operations I had to take care of the situation. The extremists we were searching for day and night, simply came to the Police station and surrendered! In another complicated case which I was dealing with for the first time, I was wondering what to do. And I felt His direction that I must take one step at a time and what do I mean what should I do? Didn't I know that He is always with me? I also felt His guidance that my decision making was poor, so He would ensure that I was always in situations where I was forced to make decisions on the spot and soon became very good at it. In one case when I was Superintendent of Police of a district, the extremists kidnapped four of my policemen, held them captive in a forest and threatened to kill them if the demands they laid forth were not fulfilled. I only prayed, and I taught the families of the kidnapped men to pray. After 10 days, in spite of no demand being fulfilled, my men were released by the extremists (why, even they could not understand!) and they came back home walking from the forest! It was unprecedented in the history of extremism to have policemen kidnapped and released like this without any demand being fulfilled, without any reason whatsoever. But I knew the reason was Baba!!! In one of my postings where I had worked very hard, after my transfer all the work I had done was destroyed by another officer who thought differently. 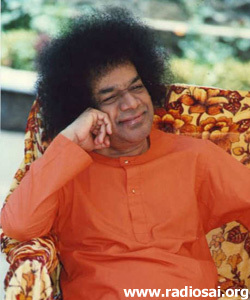 Swami taught me how to accept someone else destroying a system I had built up carefully, how to detach myself from the result of my work, how to work without expecting appreciation and move ahead. 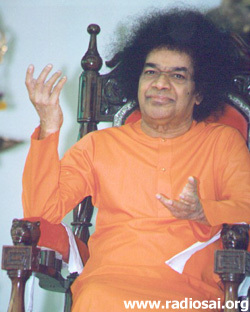 Swami also taught me that I must not look at only one quality in a person and judge them according to that - I must look beyond that quality and see the whole person. He taught me how to do my work, my duty and forget about the result. Justice or no justice, things were happening just as He willed it. Everybody was playing the role assigned to them. Acceptance on my part of His will was important on the road to total surrender to Him. I always found it very difficult to love myself. I had no tolerance for myself, least of all for the mistakes I would commit. 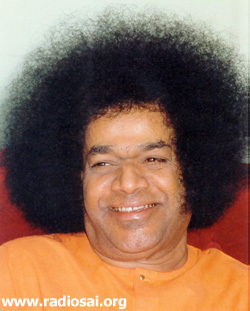 Swami taught me to love myself and be more patient, kind and tolerant with myself. Since He was in me how could I hate myself? Was that not tantamount to hating Him? He also taught me how to leave behind the emotional baggage I was always carrying on my back. I learnt to travel light, though I still have the tendency to make the same mistake. Not being a very good judge of people initially, I would always trust the wrong people and would regret it later as they would always betray this trust. Swami always let me go through the experience, but each time helped me learn how to judge for myself to what extent to trust people. It was learning the hard way but, it never made me forget my lessons. He is a hard taskmaster. He puts us through different tests, and with each new step up the spiritual ladder comes another more difficult test. Each time one has to remember that it is a test and tell Him that you are going to be strong, will put up a good fight and pass the test and make Him proud of you. At each step Swami taught me how to introspect and evaluate myself and what I was doing and be absolutely disciplined, truthful and a person of total integrity. I am not the perfect daughter He would like me to be, but I am trying. He taught me how to take one step at a time when in doubt and how things would then automatically work out. He also taught me how to care for my subordinates, and how to stand up for right things and values, come what may. He taught me how to be a leader and lead from the front. What Swami taught me in a few years in my job about assessing people and situations, I probably could never have learnt all my life. He would give me experiences putting me in the place of other people and help me understand people and situations better and then take fair decisions. I learnt that all the people we meet, we do so for a reason. Either they have a role in our lives or vice versa and once the lesson is learnt, everyone moves on. But if the lesson is not learnt then we keep attracting the same experiences to ourselves. In one case He warned me that there are people around me I should be careful of. I had sensed it but this message helped me confirm what I felt vaguely. Once when I was SP of a difficult district, a person from the USA travelled all the way to my area of posting and told me to be careful of a senior who would backstab me. It happened exactly as foretold, 7 months later. I could not prevent it but, I was prepared for it and could face it courageously. When I once had to take a very important professional decision involving life and death and was very disturbed, He told me that like Arjuna I must do my duty. He would never let me do anything wrong. If I take a decision that is wrong He would not allow it to happen and if right then there was nothing to worry about. That was the most fantastic assurance I had received in my life. My God was taking care of me every step of the way in my life. Once while travelling when I was perturbed about something and asked Him for help, a water tanker overtook my vehicle and loomed large in front of me, with Baba's photo behind it with the message "24hrs at your service!". Swami's responses were always tremendous and spontaneous. At each step He taught me to have faith that He is there for me. From the year 1992 to 2000, for about 8 years, I had been hearing someone knock on my door every night and sometimes this person would call out my name. I couldn't understand and never slept properly. 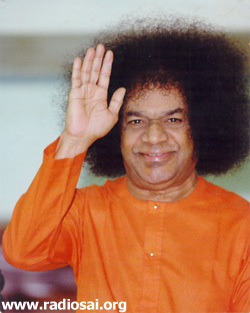 Once while travelling in a train I read that Baba stated that God knocks on the door of people to wake them up to the reality of who they really are. He also said that if we do not open our hearts to Him, He will break it and enter! I prayed to Baba and thanked Him for telling me that. Since that day the knocking stopped. I guess I was a poor learner, He kept knocking at my door patiently for 8 years and I never understood!!! Swami has come in about 130 dreams to me ? each one signifying something ? either care or precaution to be taken or something which is about to happen, or expressing His happiness or otherwise at something. He is a hard taskmaster too, who knows how much to push you and to what extent. Whatever He gives in one's life, whether sorrow or happiness, it will not be anything more than what one can bear. 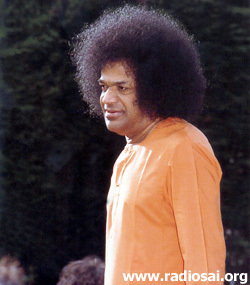 I always wanted to do seva at the ashram but my job would not permit me to take a long time off and do seva. So when called on official police duty for His Birthday celebrations, I was thrilled. I wanted Him to see me in uniform and when He passed by me I saluted Him and He did look at me. After one week of very demanding duty when I was completely tired and my seniors were happy with the way I had controlled things at the ashram, I thought to myself what is the use of these praises, if the lord of the universe appreciates my work then that would be something. The next day when I was sitting for darshan, He came to me and when I said, "Baba thank you for giving me this opportunity of coming here", He said, "Chala santosham" and gave me Padnamaskar. The Lord of the universe knew how hard I had worked. Oh what wouldn't I do for that smile and padnamaskar! In 1999, on 17th July, Mummy's birthday, Baba called the whole family for an interview. Those 15 minutes with Him were like ages. That time we spent with Him, the assurance He gave to each one of us that He is there for us and His comments about each one of us revealing His omniscience were wonderful. I was sitting near His feet, in the same place where I would sit in my dreams, and He put His hand on my head twice, while talking. I was thrilled. Baba gave us strength to face the bad times ahead. Each visit to Parthi would be for learning a lesson. Either we would meet someone who would clear our doubts about something, or share someone's experiences and grow richer, or Baba would help us find the answers to our questions and give us food for thought and practice. Love, truth, patience, ahimsa in thought word and deed, understanding, seva was His message, continuously reiterated in different ways. The way He loves all unconditionally, the capacity He has to forgive, the patience with which He deals with everyone, the transformation He brings in oneself, the love, devotion, the desire to give up everything and follow only Him that He incites, can't be compared even remotely to anything that exists in this world. He is the most wonderful teacher, who taught me patiently what I needed to learn, though I went on making mistakes all the way. Had Baba not given me wonderful parents and sisters, who supported me always in whatever I did, it would have been very difficult to survive. I was inspired by my mother and sisters to learn vedic chanting and to meditate and move ahead in life spiritually. My younger sister was blessed with several visions and visitations from Baba. Papa's relationship with Baba was very interesting. Papa fought with Baba for some reason and refused to acknowledge or talk to Him. But the more he resisted, the more Baba ensured that all the spiritual activities were carried out from our house and slowly he started participating enthusiastically in all activities like Laksharchana, study circle, nagar sankirtans, bhajans etc. That was Baba's way of bringing an unwilling sparrow into His fold! In September 2005, I was selected for the UN Mission in Kosovo for a period of one year. The entire process of selection which takes just a month and involves tests for police personnel from the whole country, took one year. It was something I wanted for a long time. When I wanted to know why the delay was taking place the message that came said it was because I was not well! This was true. I was suffering from severe backache for sometime. My Baba delayed the entire process of selection and gave me time to recover so that I could join the mission! O lord, where would I be without you? What can I do to thank you? Nothing I can do will express my gratitude to you. I can only offer you myself - a tiny speck in your universe, confused and tainted ? with all my heart and soul. I am where you want me to be, doing what you want me to do. Make me your instrument to do what you want me to. Make me the daughter you would like me to be. Show me how to fill my heart with love for everyone, just like you. Make me a part of you where I lose consciousness of myself. I would like to see you in everything. If I look left I should see you. If I look right I should see you. If I look at someone I should see you. If I am asleep I should dream of you. If I am awake I should see you. If I listen to anything it should be only your voice. If I talk it should be only to discuss your glory. I want to be God Drunk - I love you Baba.